That conversation got me to thinking: what else will we save money on? Gasoline: Plain and simple, it costs more to transport a fat person than it does a thin person. More bodyweight = more mass your car is moving = more fuel that’s required to make it go. The converse is true, and thus less will be spent on gasoline. Medications: Currently, I take 3 prescription medications–one for high blood pressure, one for diabetes, and one for high triglycerides. I am hopeful that after a few months of significant weight loss, I will come off the first two. The third medication is one I will likely remain on for the rest of my life as I have a family history of heart disease, and that medication was originally prescribed for me by a cardiologist to head off any heart disease that might develop. I will gladly stay on that medication if it means I don’t end up with fully blocked coronary arteries, which has happened to a few of my family members. Coming off of those first two medications will save me $8 a month (I pay for the generics), which isn’t much, but if you do the math, is nearly $100 annually, which would nearly pay for me to have a membership at the rec center which has a really awesome pool. Eating Out: DH and I eat out quite a bit–a lot more than we probably ought to, really. Immediately post-surgery, eating out won’t be an option as we’ll both be healing and relearning how to eat with a tiny pouch of a stomach. But after a few months, we’ll likely test the waters at a couple of places that we frequently go out to now and will experience something quite a bit different. A typical dinner out for us involves ordering drinks, an appetizer and entrees. Sometimes one of us will order dessert. Typical tab? Before tip, a typical dinner out is about $50+, and rarely do we bring home boxed leftovers. There is no way we’ll be able to eat near as much as we do now, so I anticipate dinners out costing far, far less since we’ll likely be splitting plates and bringing home more. We will probably not go out nearly as much as we do now–probably once a week max, as opposed to the 4-5 times a week we do now. Savings: hundreds of dollars monthly, which will likely be funneled into buying new clothes! Clothes: The quality of clothes that are made for plus-sized men and women is really quite terrible. There have been many times that I have bought an item of clothing from somewhere, worn it once or twice, and then it’s got a rip, a tear or a hole in it, and not because my girth has caused the problem, but because the clothing is poorly made. I realize that clothing for regular sized folks sometimes suffers the same fate–not all clothing manufacturers build a quality product. But when you are limited to a small number of retailers that caters to folks your size, your fashion options are extremely limited to high-priced, low-quality wear so buying clothes often is something you have to do. I’m hopeful that once my dress sizes start dropping, I can buy fewer clothing items that while may be more expensive upfront, will last longer due to being of higher quality. Overall, this will save me hundreds of dollars yearly. Of course, I may spend the money I end up saving on alterations! Vacations: An average 5-day vacation away from home for us costs between $1300-$2000. Most of the cost revolves around eating out for 3 meals a day, plus gasoline that we put in the car (we tend to John Madden it and drive wherever we go, since flying is a hassle and currently expensive as we would have to buy an extra seat). I anticipate future vacations costing us significantly less for the reasons explained above, but also because we’ll be able to fly and not have to buy the extra seat. Those were the few things I was able to come up with. Certainly there will be other ways in which we find ourselves saving money, but I can’t think of them. Unfortunately, for all the money we will save, we will find ourselves paying more for our health insurance next year…thanks, State of Texas! It’s always something. This entry was posted in economies of the scale, weight loss surgery and tagged costs of being obese, economies of the scale, money, saving money, VSG, WLS. Bookmark the permalink. The saving is a really great idea! Saving all of this money is certainly another benefit of getting healthy!! 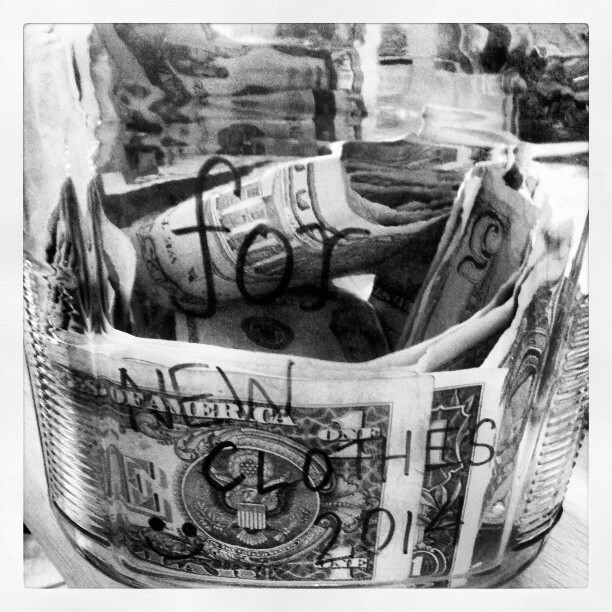 I have been putting money away for a plastic surgery fund lol… didn’t even think about clothes! I honestly don’t know that I’ll bother with plastic surgery for a few reasons–the primary one being cost. I know I can get a tummy tuck and brachioplasty cheap at the medical school here–I met a lady at the salon where I get my hair cut that had a bypass last year and was going to have plastic surgery done at UT-Southwestern by interns for $6500. Not bad considering I live in a region where plastic surgeons are on every corner! The other reason I’m not considering plastics is that they leave gnarly scars, and I’d rather do without. Finally, I wouldn’t be able to exercise for a while afterward, and I fear that may halt any progress I’ve made on losing weight. I’ll deal with the excess skin until it becomes a medical issue. I am more concerned about dressing up to go to school every day, hence the savings for nice clothes. I just want to look more professional than I do now. I’ve already started buying clothes 3 dress sizes down from my current dress size because I’ll be that size when school starts again in August, I am confident! Most of them are things I can easily have altered as more weight comes off.